Massive German public media, institutions move to brutally squash scientific dissent. Modest German organization EIKE now target of full-scale defamation in bid to ruin and silence climate dissent. Image source: Duxbury Church. For illustration purposes only, no affiliation. The European Institute for Climate and Energy (EIKE) was set up years ago with the mission of offering counter arguments against the continuously made claims of a man-made climate catastrophe coming from climate doomsday theorists and alarmists. The Germany based, shoe-string-funded, anti-climate-alarmism organization comprises mainly of retired scientists and experts from the energy field. It hosts climate conferences annually which include renowned speakers such as astrophysicists Dr. Nir Shaviv, Dr. Henrik Svensmark, former Harvard physicist Dr. Willie Soon and renowned oceanographer Dr. Nils-Axel Mörner. This year EIKE will be holding its 12th Climate and Energy Conference in Munich on November 23 and 24. Once again the conference will feature prominent experts from the field. These experts of course agree that man is contributing, to varying degrees, to climate warming. Worst of all, they are highly skeptical of the alarmist claims, which dominate the discourse. For the mainstream, alarmist media and climate activists this sensible dissent has become too much to take, and so now they are fully into Phase 3 of Gandhi’s “Ignore, ridicule, fight and win” playbook against climate science dissent. In a post here, EIKE Vice President Michael Limburg yesterday described the increasingly vicious media attacks on his modest organization, and announced that EIKE will fight back with a defamation suit against German ARD public television, which over the past 12 months EIKE has been “defamed” on 4 separate occasions, and others. The dubious programs were broadcast by Hessischer Rundfunk called Klimareport in November 2017; a January 2018 broadcast by RBB from its Contrasts series titled ‘From the Fringes in the Bundestag,’, a broadcast by NDR under the name ‘The Producer of Lies‘ on July 23, 2018 and a broadcast from WDR from its Monitor series with the title ‘Climate Change and Summer Heat: Opponents Mobilize’ on August 16, 2018. The aim of the media assault using half truths and distortions, according to EIKE, is to “destroy the reputation of EIKE as a serious institute.” Media and activists continuously use world like “Leugner” (deniers) to describe alarmist climate science dissenters. Limburg writes that EIKE is taking action against a host of public broadcasting outlets, such as WDR and NDR, but also against the director of the Max-Planck Institute for Meteorology, Prof. Dr. Jochem Marotzke for making false statements about the quality of the scientific work of EIKE contributing scientist Prof. Dr. Horst-Joachim Lüdecke. EIKE also points out that one source often cited by the German media is the German Wikipedia, whose recently added entry involves a “pseudoscientific portrayal” about “climate change deniers”, EIKE says. 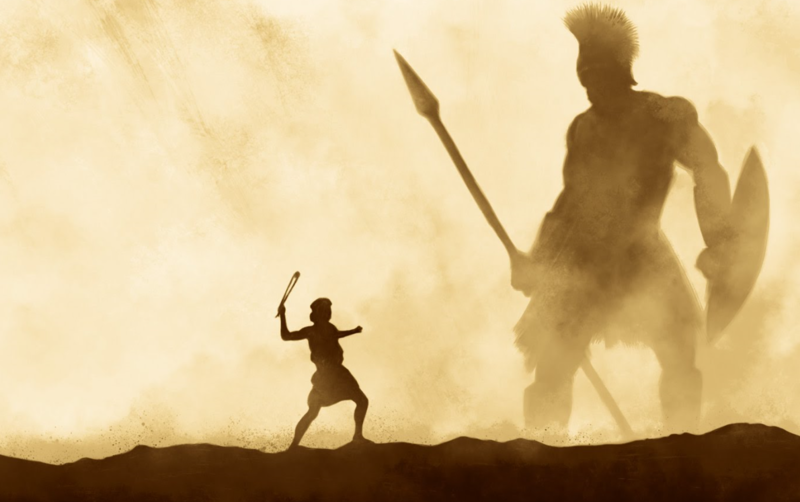 When it comes to the chances of a successful outcome, EIKE remains sober and the small organization is aware that it’s David versus Goliath. Donations will be sorely needed, EIKE laments. I say: give the people what they want… High prices, intermittent power, scarred landscapes… this all serves as an object lesson fr the rest of the world. The Germans need to learn the hard way. The appeal to authority is wrong. Scientific rigor doesn’t give a hoot about titles, professorships or organizations. Well said! In fact I think I’ll add that if you don’t mind. Clearly the climate alarmists are terrified to death of an open discussion. Who do the nutjobs at EIKE think they are, the Pope? Europe needs a new Inquisition and a brand new Grand Inquisitor. It has to be done. Heretics like Galileo never cease their chicanery. Giordano Bruno was burned at the stake for thinking for himself. Thinking for yourself, the freedom to think, needs to stop or you could be in big trouble. You have said the magic words, Giordano Bruno, so here’s your prize. I imagine you will find some of those articles, or at least parts thereof, amusing and informative. So many of the decisions of the German govt are so obviously against German interests that one wonders whether they are freely taken. Vast immigration, giving up the deutchemark, sanctions against an important industrial partner, idiotic energy policy– and now, an extension of censorship, albeit indirectly. –Major-General Gerd-Helmut Komossa, former head of German Military Intelligence , wrote a book “Die Deutsche Karte”. In it, he confirms what others have reported: that as a condition of reunification, there was an understandably secret treaty ceding to the US until 2099 the control of German media. –Germany is still under the UN’s “enemy state” status, which affects its powers. In understanding Germany’s actions– even this one against a truth-teller– we must regret that once again politics trumps science. Pierre, I’d like to donate to EIKE but my German is not up to the task, maybe you could suggest to them an English language version of their website donation page? In the UK the MSM (such as the BBC) has gone beyond attacks on sceptics, they simply ignore sceptical viewpoints entirely, and suspend journalistic scepticism entirely, proving that they are no longer journalists in this area.